On the same day that the Government announced how it would amend rules on costs, it also announced that it is consulting on important changes to the organisation and practice of the civil courts. At the heart of the new proposals, there is greater emphasis on fixed costs in litigation; more extensive use of mediation; better use of court buildings (including closure of many courts); increased use of the small claims track; ensuring that only very high value civil cases can be started in the High Court; and creating more flexibility in the ways in which cases are handled in county courts. There are also proposals relating to better enforcement of decisions. Proportionality – that disputes should be resolved in the most appropriate forum, so that processes and costs are commensurate with the complexity of the issues involved. Personal Responsibility – that wherever possible citizens should take responsibility for resolving their own disputes, with the courts being focused on adjudicating particularly complex or legal issues. Streamlined Procedures – that procedures should be citizen and business friendly with services focussed on the provision of timely justice. Introducing a number of jurisdictional changes in the civil courts, including the introduction of a single county court jurisdiction for England & Wales. Alongside these proposals, the Government says it is improving the information offered to members of the public through enhanced online content available through Directgov, the Government’s central website for the citizen. New content is designed to inform the public about the full range of civil dispute resolution options available to them, including mediation, use of Ombudsmen, industry arbitration schemes and where appropriate, use of statutory regulators. It also aims to demystify the court process itself, rendering it more navigable to the public, and provide upfront information and warnings about the time and costs involved in pursuing a path of what could be protracted litigation. 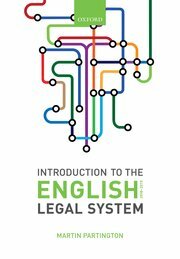 This new resource also includes a series of short audio-visual clips, which explain what happens at a court hearing; what happens at mediation; and what may happen as a result of a judgment being enforced. They also include short pieces to camera which help to explain the benefits of mediation over litigation, as well as testimonies from members of the public who have used the mediation process. The consultation runs until the end of June 2011.